Even before we had an official Homeless Congress, the Coalition encouraged folks experiencing homelessness to speak out. 2008 Drop Inn Center Rally, 30 year anniversary of the midnight move. 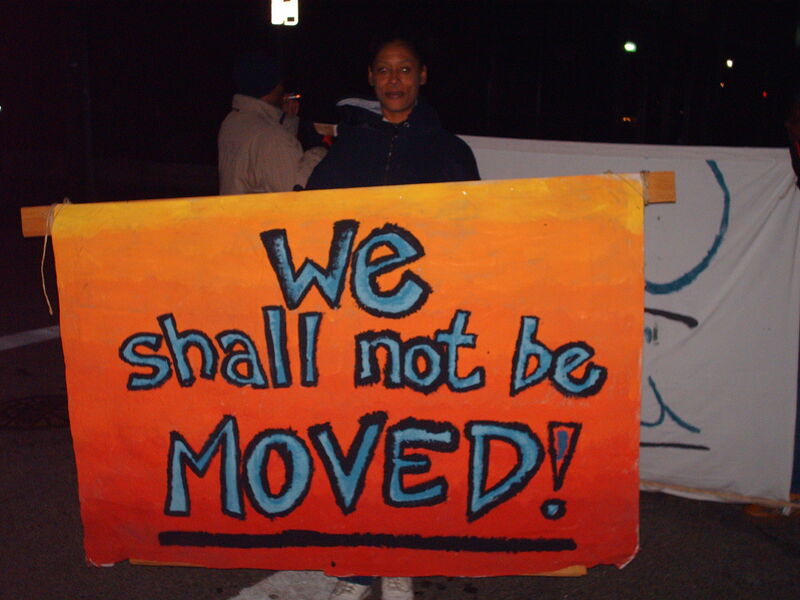 In 2010-2011 through the vision of the Coalition and the efforts of Riccardo Taylor, our former Civil Rights Outreach Coordinator, as well as committed fighters who are experiencing homelessness, we established Cincinnati’s first Homeless Congress. This is a growing body of people experiencing homelessness or who have experienced homelessness in the past. The Congress is in the process of creating avenues to include more voices of people experiencing homelessness, taking stances on issues and advocating and organizing for basic human rights. Congress fought hard for replacement restrooms by Washington Park, organizing the support of area business. The Congress has also took many trips to Columbus, Ohio to fight proposed law requiring one to show an ID to vote. Between 2011 and 2012 the Congress put much focus into recruitment and voter registration. Voter registration drives were held in area shelters and eating places. People who were already registered were encouraged to vote. The Congress wants to see everyone who is experiencing homelessness, regardless of party, to vote. Proper voice in the political realm is a part of ending homelessness. If you or someone you know is interested in joining the Homeless Congress, Call 513-421-7803 Ext 15 and ask for the current Civil Rights Outreach Coordinator.